Californians love and value their coast, and the California Coastal Trail is an expression of the desire for preservation and responsible access. The Trail is a network of public trails for walkers, bikers, equestrians and wheelchair riders and other along the 1200 mile California coastline. It is currently more than half complete. Coastwalk California is a volunteer organization that advocates for completion of the Trail. 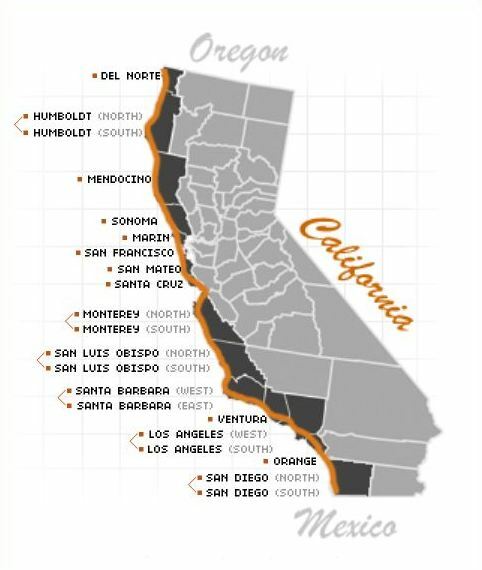 California Coastal Trail.info offers a complete Hiker’s Guide including detail maps, information, favorite hikes, ways to volunteer and inspirational stories of 10 hikers that that hiked from Oregon to Mexico in the summer 0f 2003.